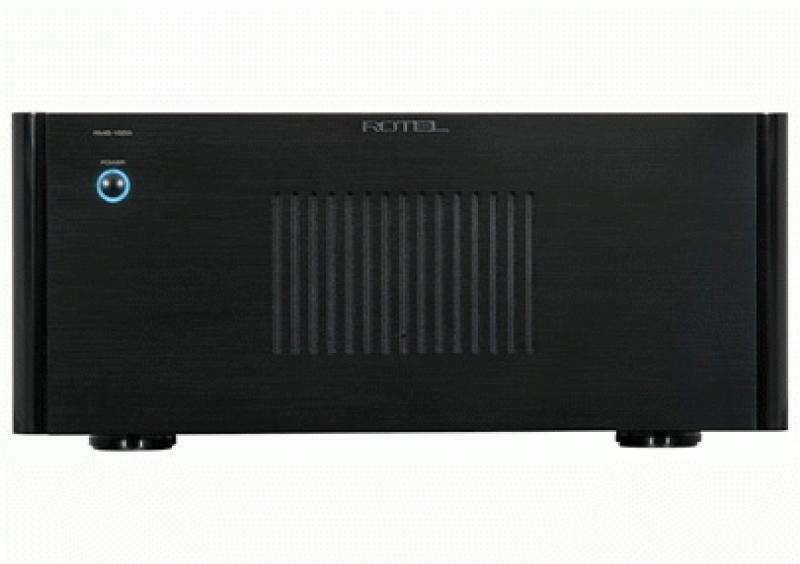 Rotel Electronics recently announced the new RMB-1555 Multichannel Power Amplifier that incorporates the company's Balanced Design Concept. The RMB-1555 multichannel power amplifier, whether used in a home theater system as a distribution amplifier for several independent zones in your home, or as the foundation of a multichannel music system, the RMB-1555 is designed to be up to the task. • Read more multichannel amp news from HomeTheaterReview.com. • See reviews in our Multichannel Amplifier Review section. Power output is conservatively rated at 120 watts per channel into 8 ohms and this is with all channels driven to full output. Its capability comes from a stable power supply based on a Rotel designed and Rotel built toroidal transformer that provides precise voltages at high current to subsequent circuit stages. In addition, the toroid shape itself reportedly reduces stray emissions that might otherwise interfere with signal transfer. The RMB-1555 uses only discrete output transistors with their higher thermal stability. The Class AB amplifier configuration works to acheive the best balance between power output and thermal efficiency. Heavy-duty speaker terminals complement the RMB-1555's 12-volt remote control trigger, single-ended RCA inputs, and detachable IEC-type AC cord. The RM-1555 also self protects from over current, over temperature and DC voltage. The RMB-1555 will be launching Summer 2013 for an MSRP of $1699.